Celebrate the sights and sounds of spring this April and May with Three Rivers Ringers! Pittsburgh’s premier handbell ensemble presents Sensations of Spring, the Spring 2018 Concert Series that features the entrancing music of springtime across many genres. You’ll hear music popularized by diverse artists such as Burt Bacharach, Frank Sinatra, Henry Mancini – even The Muppets – plus some of our favorite classical and spiritual pieces. 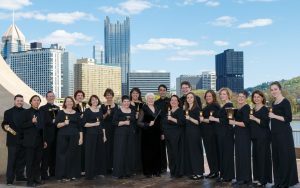 Come ring in the spring with Three Rivers Ringers! Thanks for dropping by! Feel free to let us know what you think, and stay updated by subscribing to the RSS feed.